Dreamforce is just around the corner, and more than 100,000 users are anticipated to attend. Users consistently mention that the native reporting capabilities in Salesforce don’t fully meet their needs. In particular, they would love to have the ability to snapshot and warehouse data for reporting and trend analysis. While Salesforce does have some ability to capture trend data, it’s difficult to expose it and use through standard reporting templates. Most users are left with the option of exporting their snapshot data to either Excel for manual analysis, to a database for more structured querying, or to an Analytics platform such as, C9, Birst, GoodData, or Tableau. While some of these tools support out-of-the-box packaged analyses and visualizations of sales and marketing performance, they still require configuration and customization not to mention the monitoring or another periodic data integration. Moreover, many organizations have already committed to more general purpose Business Intelligence platforms and are faced with the choice of building and maintaining visualizations from scratch in their existing platforms or introducing another purpose-built BI platform into the mix. Expect to see users attending the analytics sessions hoping for good news in this area. Salesforce has expanded its reach from sales into functions like marketing and support, through product development and acquisition of complementary products. 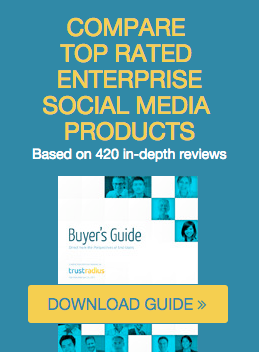 Users have reported limitations with native capabilities such as email marketing or modules like Content. The recent acquisition of ExactTarget (and by extension Pardot) should help to reduce some of that concern but M&A brings its own set of concerns. Users have expressed concern with the lack of investment and integration of prior acquisitions such as Radian6 and Buddy Media. These concerns range from a desire for enhanced technical integration of the acquired products to Salesforce's core platform itself, integration among the acquired products, and consistency and clarity in packaging and licensing of these products as part of an integrated offering. Expect to see users ask hard questions about specific integration plans, time-frames and future product roadmaps. 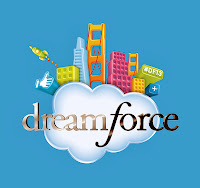 Are you attending #DF13 next week? We'd love to hear what product announcements you want to hear at the conference. In the meantime, make sure to check user reviews from the vendors you plan to meet with in the Cloud Expo. These reviews will help you assess where you best spend your time, and give you ammunition to ask good questions.